Need Service? Fill this out! You need the name and number of a good HVAC company on your fridge. That way, when your whole family is overheating during the hottest days of the year because your AC broke down or everyone's bundled up under blankets during a frigid winter because your heater won't work, you'll instantly know which of the local residential companies to call. Halo Heating & Cooling is the name to have on your fridge, along with this number: (615) 383-4822. 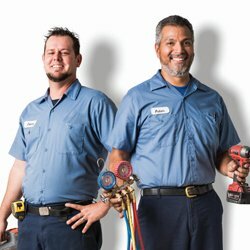 But we offer a lot more than heating and air conditioning service. Our company is also committed to air quality and comfort, and other benefits for your home. "We'll make your home feel Heavenly." It's essential for homes in cold environments to have a working heating system, and life is certainly more comfortable when you're able to cool down during hot weather. 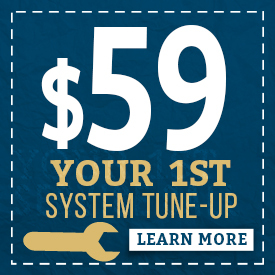 Our affordable service includes installation and repairs of heating and air conditioning systems. We can work with the systems you already have or help you get up to date with new energy efficient systems. 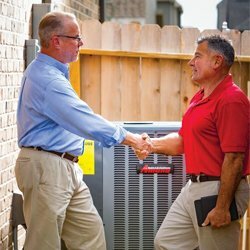 We don't just start and stop with heating and cooling in Nashville, TN homes. The quality and comfort of your air also matter a great deal, which we focus on through ventilation. If there is mold, mildew or dust in your airways, you could be blowing these contaminants around every time you try to heat or cool your home, potentially harming the health of your family. There are also many pollutants that contaminate indoor air quality in a home, coming from cleaning products and other sources. We believe that your air shouldn't just be warm or cold, but that it should be clean. It should also be comfortable, with just the right amount of humidity, so your home and body aren't completely dried out, but not too moist either. To us, that's a Heavenly home. We know it can make you nervous to have a stranger come to your home. That's why we make sure our technicians are trustworthy by performing background checks before they ever enter your house. We also ensure that they are professional by wearing uniforms and providing helpful service, and knowledgeable by going through education and training. You'll feel comfortable welcoming our specialists to your home. 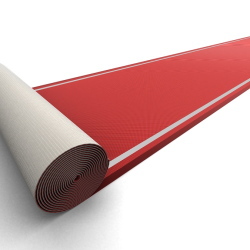 When you become our customer, you can expect neat and clean red carpet service, two-year workmanship warranties and a 100 percent satisfaction guarantee for the work we provide. We don't use cheap parts, yet we still work to stay. Discounts, including a 10 percent discount on repairs and a 10 percent discount from Trusted Halo Partners, or THP. Ask for more information about our plan. In addition to providing quality service from expert technicians, a Heavenly home with clean air at the right temperature and humidity, and our protection plan, we run an environmentally-friendly company that will help you reduce your utility bills each month. There's not much better than quality to help you save money. When you need quality Nashville, TN HVAC services from a reputable company, contact Halo Heating & Cooling at (615) 383-4822. We will send a contractor right away!